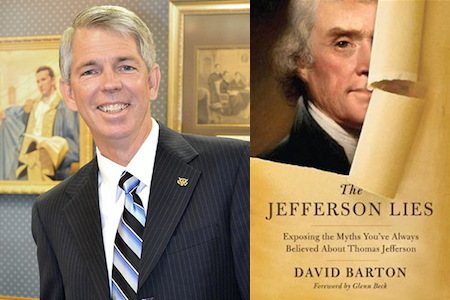 Where's that Simon and Schuster Edition of "The Jefferson Lies" David Barton's Been Promising? Exactly one year ago today, on August 9, 2012, Christian publisher Thomas Nelson took the virtually unprecedented action of pulling one of its books from publication due to the book's many inaccuracies. That book, of course, was David Barton's The Jefferson Lies.